We are both looking forward to encouraging you, our sisters, to be the best version of yourselves while further developing an environment within Merici that truly feels like a family. This year we celebrate the College’s 60th Anniversary. 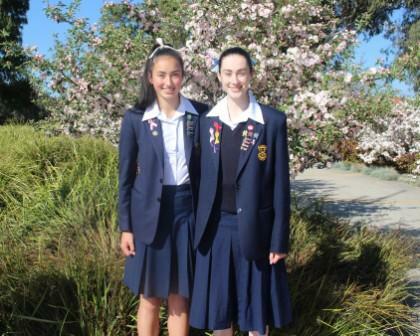 This is a very special time for all of us where, as a College, we celebrate the College’s journey from Canberra Catholic Girls’ High School in 1959, through Braddon Catholic Girls’ High School, Catholic High School, Braddon when the boys were here, to Merici College from 1983 to date. Our theme for this year, Fidelitas, ties in beautifully with our anniversary. The commitment and faithfulness that past and present students and staff have shown has contributed greatly to strengthening the growth of our Merici family and Catholic values. During this special year we will take it as a personal goal to ensure that students are learning more than just academic lessons. We are a community of strong women where we hope to teach our students to empower one another and strive for greatness. We want to nurture our girls and watch them grow into young women who spread positivity through their love for others and themselves. We are committed to upholding our theme of Fidelitas by fostering student aspirations. 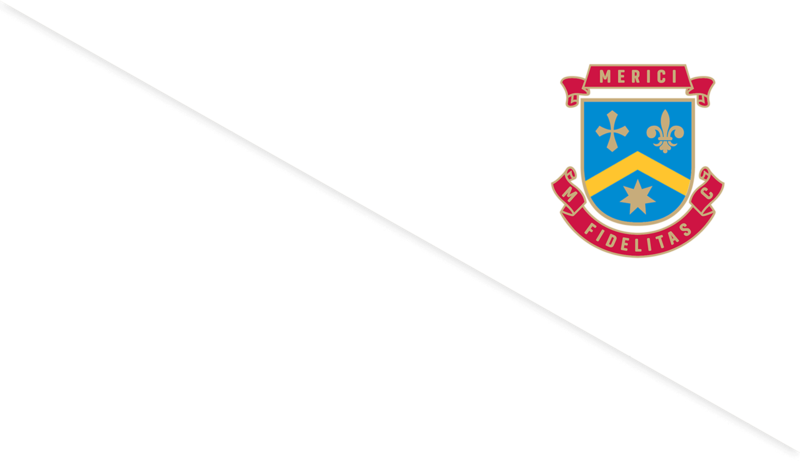 Through our wonderful college community, we will work together to encourage students to support one another and uphold and build on the Merici reputation. We will inspire students to build on their own personal identity and the school’s by immersing themselves in College life. Our school offers many great opportunities for you to become involved. Our co-curricular program offers over 30 different clubs that you can sign up for. These include Basketball, AFL, Netball, Volleyball, Rowing, Dragon boating, Futsal, Water Polo, Fitness Club, Tennis, Running Group, Hockey, Snowsports, Duke of Edinburgh, Marist/Merici Sailing Club, Music, Dance Troupe, Drama, Narragunnawali, Cross Age Tutoring, Debating, the Student Representative Council, the Social Justice Committee, Angela’s Angels, Sew for Community, Book Club, Cosy Café And Sustainability, and lots more. We wish for all students to find resilience and courage in the spirit of Saint Angela Merici who saw women as significant individuals and agents of change.